1. What’s your price range? 3, Will your website be able to grow with your business? 4. What CMS platforms are you wanting? 5. What are your goals for this website? 6. Do you require a website designer? 7. Have you done your keyword research? 8. Does the website development agency have a good reputation? 9. Do you really need a new website? Other costs that you’ll need to consider besides the development work involved is the domain name, hosting, specialized skill labor, testing/training and website management services. A more in-depth guide by Website Builder Expert breaks down the costs even further and can be found here. A domain name can cost anywhere from $10-$100/year. However, if you’re purchasing an old domain to pick up some of their organic traffic and brand recognition, you may be paying millions. A website development agency can help you find a domain name that isn’t already taken. Hosting costs vary anywhere from $50-$1,200/year depending on the type of hosting you choose. This guide walks you through the process of choosing a domain. A Dedicated hosting service (managed hosting service) allows the client to lease an entire server that’s not shared with anyone else. You’ll be able to choose the operating system, hardware, etc. If you want ultimate control and don’t mind taking on system administration yourself, dedicated hosting is going to be your better option. Shared hosting is a web hosting service where many websites reside on one web server that’s connected to the internet. If you’re on a budget, this is going to be your best option. Server maintenance costs are split between those sharing the server. However, shared hosting can’t accommodate those who require extensive software development. Free hosting usually includes forced ads on subscriber’s websites for generating revenue. Though some free hosting platforms exist that don’t require ads, these often come with stipulations, like limits on usage. A subdomain is normally provided, and template builders are offered to make creation easier. Common free hosting platforms include Blogger and WordPress. Other fees to consider are Secure Socket Layer certificates and a static IP address. Speak with a website development agency to determine which option is best for you. Custom designs and Information Architecture will cover everything from the visual design to the user experience component to the sitemap. Page structure and imagery are also a part of this stage. If you already have a template picked out, you won’t have to worry too much about this cost. Keep in mind that website creation requires the expertise of developers, designers, user experience specialists, photographers and writers. If you want to do it right, each of these experts will need to be employed. If you choose to write the content yourself or utilize photographs that have already been taken, this will cut down on your costs. By hiring an SEO specialist though, you ensure your written content and site structure boost your organic rankings as well. To coordinate all these experts, you’ll need a project manager that can gather the information you need and delegate tasks. This cost will include everything from initial consultations to phone calls. If you have a site that’s made through WordPress, training will be pretty straightforward. However, custom sites that have multiple, company-specific features will require a little more in-depth training. Some CMSs are more difficult than others. Testing is a necessary step to ensure all plug-ins and features work as intended before a site goes live. Typically, a website development agency will test the site and allow the client to test as well. This article tells you how to duplicate a WordPress site for development and testing. Once you have this staging site set up, you’ll be able to see how different elements interact with each other and which features are having issues. Many agencies offer website management services that encompass everything from blog writing to post-launch testing to content maintenance. This may be changing up homepage banners to reflect the latest promotions or updating plug-ins. If you choose to tack on digital marketing services for your new site, this stage will also include AdWords (landing page creation), Pay Per Click Marketing and Social Media Advertising. It’s important that whichever agency you go with is able to meet your time frame. However, clients need to understand that things come up, and sometimes a custom-developed site has glitches. If something is discovered in the testing phase, it can take days to fix. It’s better to overestimate time limits than underestimate them. Understand that if you’re not going off a template, you’ll need to reserve time for a designer. The larger the website you’re building, the longer it’s going to take. Larger sites also require more time investment for configuring intuitive navigation. To cut down on time, you can provide content for the website developers before the project begins. This will make it easier for them to layout the framework. Frameworks (see below) are also known as website prototypes. They can be drawn using tools like Axure or sketched on paper. It’s easier to make adjustment and test using a framework rather than on the actual site, and it will help agencies get an accurate time estimate for your project. On the agency side, we calculate time by breaking the project into sub-tasks and figuring out how long these sub-tasks will take. Then, we add up these times and add a little wiggle room for if the worst should happen. Using the web development calculator Astuteo, an agency can give time and cost estimates for projects. We use time tracking to make sure clients are billed accurately and we’re meeting our daily goals. As a client, you should make sure that your agency is sticking with the agreed-upon price and time estimate. Don’t wait until the last second to ask why the project isn’t done yet. Plus, these time sheets can be used to estimate for future projects. 3. Will Your Website be Able to Grow with Your Business? Scalability is one of the most important parts of website planning. If you don’t build a website that can grow with your projected business growth, you’re going to be wasting thousands on a new site every few years. You’ll also want to think about how much expansion will cost as your business grows. If budget is an issue, we can work with you to find a solution that offers the capabilities you require. The most important aspects of your website are availability and performance. If your ecommerce site crashes during a vital sale, you’ve lost thousands in potential revenue. If your site crashes often, it will develop a reputation for unreliability. To combat this, designers must think about redundancy to ensure quick recovery should systems fail. Websites that have glitches or slow load times will deter visitors and hinder SEO, so it’s important to optimize your site before it goes live. Think about what non-essential media sources can be removed to speed up load time and how additional content will impact your site’s performance. When you’re creating the architecture of your site—especially one with user-generated content—you’ll want to plan for a limitless amount of storage. Ideally, you’ll want images to be retrieved instantly. The more images queried at a single time, however, the more scalability your site will require. Same goes for the content users upload. Scalability is only limited by the number of entities that can be connected successfully. For most website developers, this isn’t their first rodeo. They’ll be able to tell you the scaling option that best fits your needs. Vertical scaling involves adding more resources to a single server. A larger dataset may require implementing larger or harder drives. Another tactic might be moving the computer operations to a bigger server with more memory space and a faster CPU. Essentially, you’re increasing a single resource’s handling capability. With horizontal scaling, more nodes will be added, such as another server for storage or splitting the load over extra nodes. The great thing about horizontal scaling is that capacity can be increased on the fly. 4. What CMS Platform are you Wanting? If you don’t need or can’t afford a custom-designed site for your website (like Magento website development), Content Management Systems are the way to go. These applications support the creation and modification of digital content. A great perk is that you can assign multiple editors and admins for your site, allowing agencies, content writers and developers to collaborate on the site all at once. They also come with templates, so designers don’t have to work from scratch. There are several different CMS platforms to choose from, and we break down three of the most popular platforms in this post. 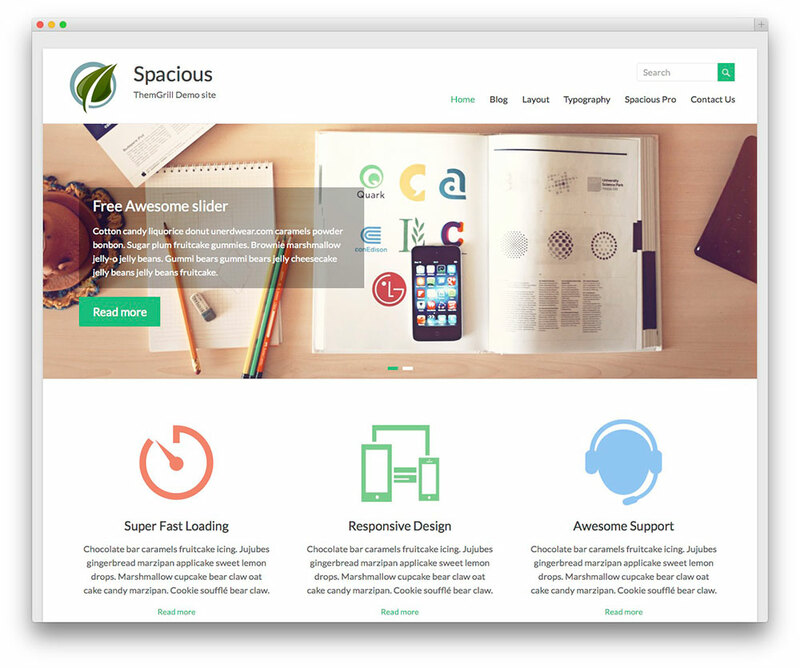 Where SquareSpace might be ideal for personal portfolios and small businesses that don’t sell their wares online, WordPress (with Woo Commerce) and Shopify are geared toward ecommerce businesses that need an easy platform to make changes on. Drupal and Joomla! require more training for website management, but they include a multilingual feature, are very secure, and can customize sites with hundreds of pages. You can always ask a website development agency to guide you on the right path, but make sure the platform you choose can accommodate the growth and changing needs of your business. Now, the answer to this question might change over time, but ask yourself what your business hopes to accomplish with this new or modified website. Are you a startup looking to increase brand exposure? Are you a long-established chain that’s wanting to start selling your wares online? All of these questions need an answer before you can set up a framework for your site. After all, the whole purpose of a website is to generate revenue. Once you figure out how to generate that revenue, you can work on executing your plan. If an agency knows that you want to increase sales in markets outside the U.S., they might choose a CMS platform that offers plug-ins specifically for this task (currency conversions, translations, etc.). If they know that you want a better site to increase conversion from your Google Ads, they might invest more time in product pages that users will land on. This great guide from intechnic gives a breakdown of what goals and objectives you should have for your website. Each case is unique though, so think about what your business specifically is trying to accomplish. This will guide the capabilities necessary for your site. We all judge a book by its cover (whether we admit it or not), so it’s important that the visual appeal of your site matches your site’s usability. Before you answer this question, take a look at the templates available online. WordPress alone boasts hundreds of commercial themes. If you have a site that you admire and want to know whether they used WordPress or it’s custom made, you can check their source code. Once you’ve established that they use a WordPress theme, use this tool to identify what theme they used. If you know they used a WordPress template, your agency can use the same template and tailor it to match your brand essence. At the lower end of the spectrum, we have pre-made templates. If you go with a pre-made template ($35-$200) and decide you want something customized, this modification will have to be done through the code…that means seeking the help of website developers ($$$). This option is recommended for first websites, businesses that don’t require custom design or specific hardware, and those with a tight time frame/budget. This option is also ideal for those who don’t want to rely on a developer or designer to make changes to their site (pending their satisfaction with the template). A drag & drop website builder like Wix, Squarespace or Weebly will give you the ability to fill in elements with no design work or coding required. Finally, custom website design is the crème de la crème of web design. You’re able to tailor to your heart’s desire—the sky’s your limit! This all comes at a cost, of course. Custom WordPress design is typically $5,000 at least and can jump to $30,000 depending on how many pages your site has. Fully-hosted website builders are second only to hiring a developer from a website development agency to create a website for you. For already-established companies, a good portion of your traffic is going to come from brand name searches in Google or direct traffic. For the little guy though (local businesses, start-ups, personal portfolios), there’s an incredibly competitive fight for SERP real estate. Organic searches are going to drive high-intent traffic to your site, so it’s important that your website is designed to rank well. SEMrush, Market Samurai and Google’s Keyword Planner tool help you discover which keywords have low competition and a high number of monthly searches. You should organize these keyword phrases by category to help guide your menu setup and page content. We recommend using Google Sheets to share this keyword list among your project managers, content writers, in-house SEO experts or agency. Just because a word or phrase meets your high search/low competition criteria doesn’t mean it’s a keyword to optimize for. Think about the user’s intent when they search these phrases. Are they comparison shopping? Looking for a quick answer and then likely to bounce? If there’s no purchase or conversion intent behind the phrase, you’re wasting your time. Be sure to Google the word/phrase and make sure there aren’t any alternative meaning that might bring in worthless leads to your site. Most traffic comes from the first page, so ditch keywords if the SERP is full of big-brand listings that you won’t be able to beat. Now that you know which keywords you want to rank for, you’ll need to figure out how they can be applied to your website. Most digital marketing agencies offer SEO services as well, so the easiest route is to schedule a consultation with them. Make sure these keywords are included in your page URL, H1 tag and written content. Consider a separate FAQ page if optimizing for voice search or specific pages for each business location to optimize on a local scale (ie: ‘Volvo dealerships in Kansas City’). Do they respond quickly to messages on Google and Facebook? Are they open and up-front about their client portfolio and employees? Aside from reputation, you should prioritize agencies that can provide brand strategy, content strategy, copywriting, user experience, graphic design, front-end development, CMS implementation and hosting all in one place. This not only improves communication, but also makes things easier for the account manager or in-house marketing director. If you can find a website development agency that checks off all these boxes and has client showering them with praise, it’s safe to move forward! You might think it’s strange we’re asking this, but many of the people who come to us spot one issue with their site and scream NEW WEBSITE! What people don’t realize is that a simple redesign (or even plug-in installation) can solve the issue in a jiffy. Instead of pointing out what elements require just a simple fix (since that list could go on forever), we’ll outline the clear signs that your website definitely needs a makeover from a website development agency. Or a funeral. According to Pear Analytics, you lose a third of your visitors if your website takes more than 4 seconds to load. With the human attention span ever shrinking, you need a website that can keep up with the clicks. By hiring a website development agency, you ensure rich media files that look cool but cost customers are removed or optimized. Besides retaining visitors, a speedy site helps with your search rankings. With mobile-first indexing on its way, you want to be sure that your mobile site is keeping up with desktop load time. This leads us to our second reason for a new website: responsiveness. We all know how annoying it can be to navigate a website from our phone when the business hasn’t implemented a mobile website design or responsive design. We’ll only put up with the scrolling and zooming for so long before we snap and throw our phone at the wall. If your website isn’t optimized to work on all devices (use this tool to check), you’re stuck in the 2000’s. Not only are you deterring customers, but you’re also harming that search engine ranking. A website development agency will go with a responsive design by default. A good reason to invest in a new website is if your site hasn’t been search optimized. If users can’t find you in organic results, they’re going to question the legitimacy of your business. With some of our clients, they weren’t even ranking on the first page for branded searches. Without website access, potential customers won’t be able to find crucial information about your business and get in contact with you. This isn’t a simple fix; It involves a plethora of SEO on-site work and keyword research. You want to be sure that you’re not only showing up in organic results, but showing up for high-intent searches. This may not require a complete website redesign, but rather thorough content and back-end modification. It’s ideal to do SEO research during the planning stage of a website to avoid redirects and broken links. If you can’t add content to your site, that’s a red flag. Without additional content, you won’t be able to promote new products, improve your search rankings or ‘get with the times’. Visitors will flee from an outdated website that shows incorrect business information or showcases products that are no longer available. That’s why we recommend a CMS platform that allows for easy content updates and media uploads. It makes no sense to acquire the help of a developer every time you need something added to your site. By updating to a new platform, you save thousands in the long run. We all change—brands and humans alike. While it’s important to stay true to your brand’s essence, that doesn’t mean a logo facelift or new color scheme can’t do wonders for your numbers. You want to be sure that your website showcases your company changes, since it’s the go-to resource for customers interested in your brand. You want to convey a clear and consistent message across all your digital assets; A new website is the perfect place to start for rebranding. You can commission a website development agency to either go in and make changes to your current site or start from scratch, depending on how drastic the change is. If your website was built during the 90’s, you’ll notice a pop-up that says “this site works best in Internet Explorer 6.0+”. For those visiting your site, this is clear indicator that you haven’t updated in a while and you may have formatting issues in newer browsers. If your site is this old, we definitely recommend a new website. All of these issues result in a high bounce rate, low organic visibility and a negative perception of your brand. If your website can be diagnosed with any of the above diseases, you need to hire a website development agency to either put your site out of its misery or cure it of its sickness. Did we mention we have a medical degree in digital diseases? Contact us so we can get you treated!